easy to say… when working on the bag I try to get a good technique thinking about the whole package, speed, power, precision, position, timing, balance, retreat…. somehow something is always missing. The thing is to train until you don´t have to think anymore, until it becomes natural. This will come with time, I always remember the comments I get from Micke and that helps me correcting some details. Somehow comments never stop to come ! new ones all the time, God will I get this right one day ? Well, it is a never ending learning process, I see people who have trained for a year or so and think they know it all. Sure some people will get this faster than others but still , if it was that easy wouldn´t we all be certified… Let´s leave the subject where it is, I feel I would have a lot to say about certain behaviours , but as once Ted told us, don´t waiste time on negative energy, it is not worth it. I follow that advice most of the time, it actually has helped me in quite some situations. Anyway, I get disappointed in myself sometimes because it does not go fast enough, I feel I should be better than this after 6 years. Really I train everyday, somehow this is not enough or not the right way. 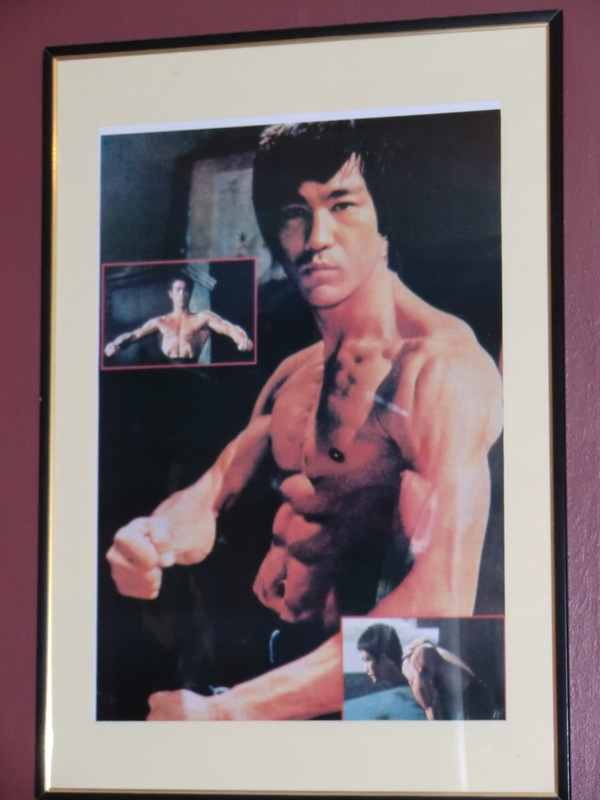 I have a big poster and a painting of Bruce in my training room, I wonder what he would think of me, sometimes I even feel the poster is looking at me and when I am done with training, I get a bad feeling. One of my favourite scenes in Enter the Dragon is at the begining with his student, I always think , God I would get so much slap on the head ! Somehow Micke is reminding me of this, he has got that same style when teaching, he has that seriousness and that ability to see it all, in the smallest detail and just say what he thinks. I don´t get slapped on the head ( I hope he doesn´t get any idea now ! ) but what he says hurt me a lot at the beginning, when I hear it now I feel I can take it and use it to get better instead, it helped me mentally, I got tougher because of this. Micke´s teaching technique makes me want to get it right even more, this is what an instructor is all about, giving you the motivation and the will to go on , no matter what and even if I do this first for myself. JKD changed my life, and no matter what may happen, it will never be the same again. Comments Off on ALL IN ONE !! !